Asphalt 8: Airborne is a Gameloft latest racing game and its now available to download on Windows Store for free. Asphalt 8: Airborne made its debut on the Windows Store a month later, but users had to pay USD0.99 upfront in order to download the 800Mb (1GB for Windows 8/8.1) app but for now Gameloft recently announced on its facebook page the download link of Asphalt 8: Airborne for free. 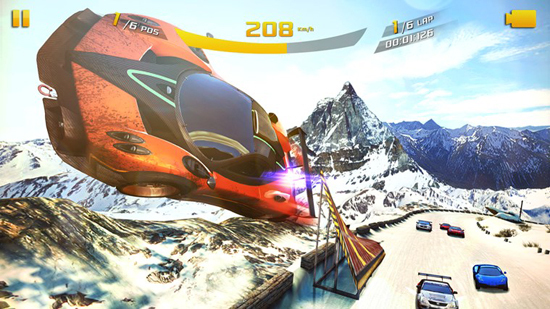 Gameloft add a new features on the latest racing game including the ability to perform aerial stunts in mid-air after jumping off a ramp, they also add new cars and roads.